Chisels are used for everything. Paring wood, flushing overhangs, shaping, scraping, scoring, and cutting joinery. At some point in every project I use at least one chisel. This is my nicest chisel. I keep it razor sharp. 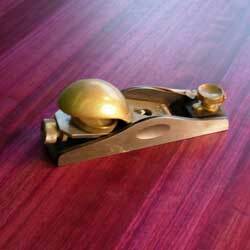 A block plane is a small plane with a low angle blade. I use it to plane edges, end-grains, and smaller areas other planes can't reach. 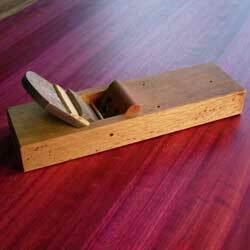 A Japanese style wooden hand-plane is pulled rather than pushed. This particular plane has a very heavy blade that is great for planing very hard woods. This will make wood look like silk if you use it right. 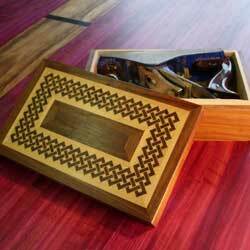 This is a #4 smoothing plane, in a special box I made for it. 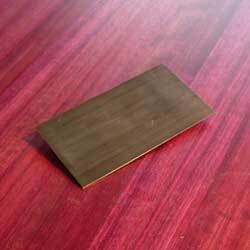 This plane will put a nearly flawless finish on wood if you keep it tuned up. 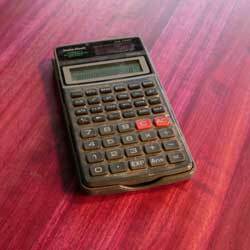 Where would any mathematician be without their trusty calculator? 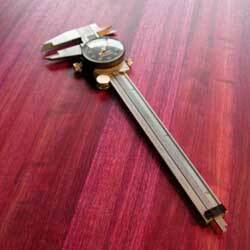 This tool measures anything within a thousandth of an inch. 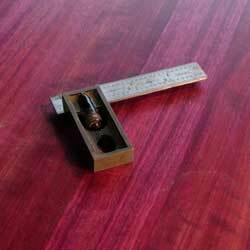 An adjustable square is used to check corners, and measure length. I use this tool a lot when I set up jigs. 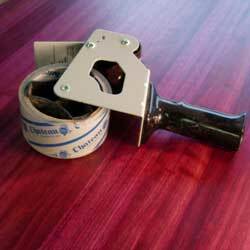 Most people use a tape-gun for packaging. I like using this tool for tricky glue-ups and building jigs. It is one of the more useful tools I have, and most affordable. I recommend one for every wood-shop. 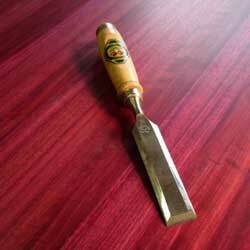 A scraper is used to put a fine finish on difficult grained areas. It comes close to a smoothing-planes ability to put a fine finish on wood. I use Japanese water stones to sharpen my chisel and plane blades. The tool grinder is used to grind out a recess in the metal before sharpening. 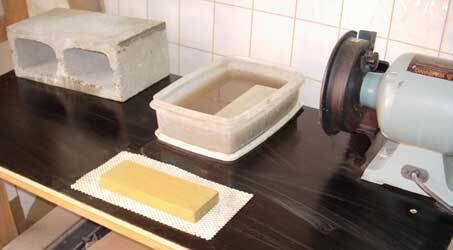 The cinder block is great for honing the water stones before use.